For the 24 hours to 23:00 GMT, the USD rose 0.49% against the JPY and closed at 110.99. 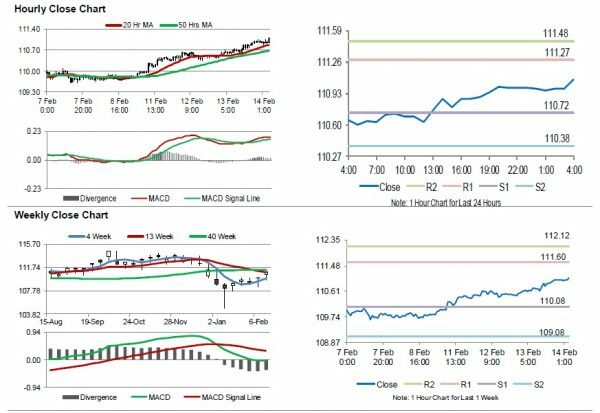 In the Asian session, at GMT0400, the pair is trading at 111.07, with the USD trading 0.07% higher against the JPY from yesterday’s close. Overnight data revealed that Japan’s preliminary annualised gross domestic product (GDP) rebounded 1.4% on a quarterly basis in the fourth quarter of 2018, at par with market expectations. GDP had recorded a decline of 2.5% in the previous quarter. 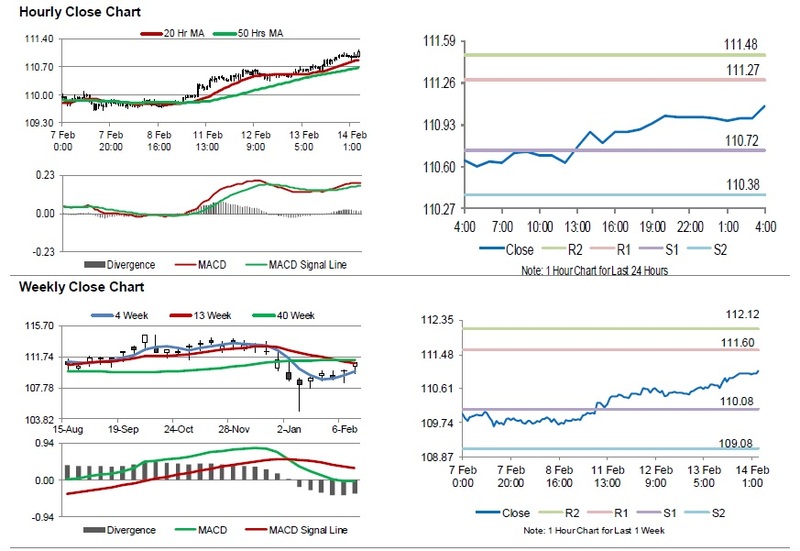 The pair is expected to find support at 110.72, and a fall through could take it to the next support level of 110.38. The pair is expected to find its first resistance at 111.27, and a rise through could take it to the next resistance level of 111.48.